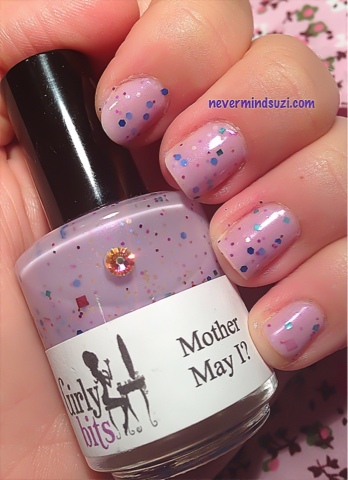 I've managed to get my hands on my 2nd Girly Bits polish =) The gorgeous Mother May I? Mother May I? is a lilac creme with a purple shimmer and blue, green, red, teal and silver glitters in various shapes, squares, dots and hexes. A truly delicate polish and 3 coats gave full opacity.